Extending your Scalextric layout has never been easier. The eight Scalextric Track Extension Packs are totally flexible in their design. Any of these packs can be added to Standard or Digital Scalextric circuits. Each pack can be incorporated into a Scalextric circuit, from simple ovals and figure-of-eight tracks to the largest layouts. One or more Track Extension Packs can be added to the same circuit. You could use all the Track Extension Packs to make a hugely impressive circuit incorporating all the featured track pieces. 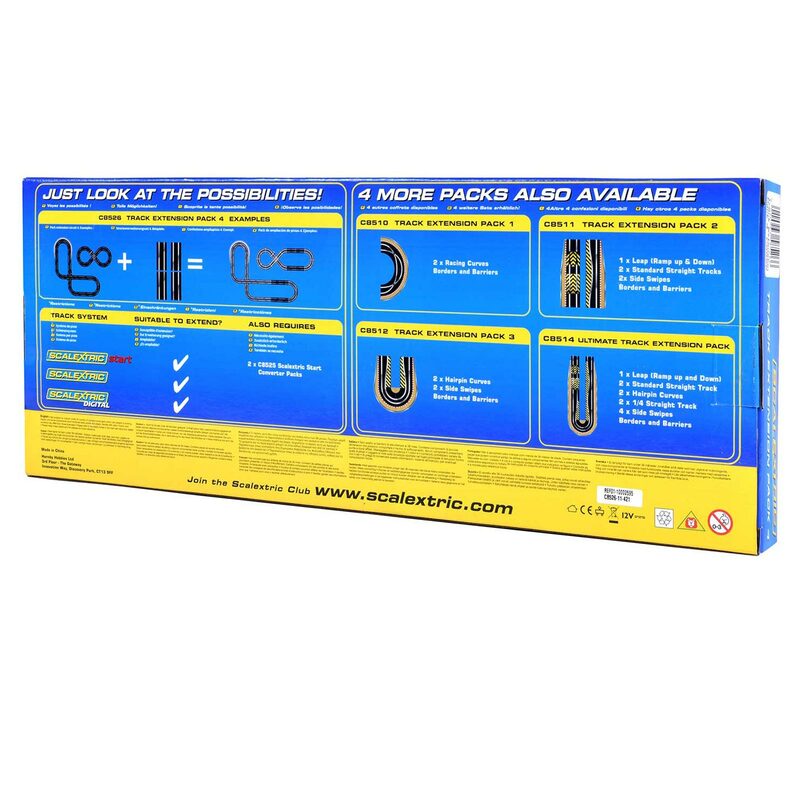 The reverse side of the packaging explains how the Track Extension Pack can be incorporated into any number of layouts.